– How can you guarantee that the tiles will stay in place? Now it is guaranteed that the tiles will stay in place. – How can you guarantee the grout won’t crack and fall out? Removing the stress from the surface guarantees that grout won’t crack or fall out. – Can you afford to take on the job if there is a chance that these problems will occur? Added confidence in installation allows more projects to be completed on time and economically. 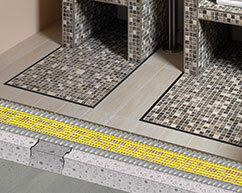 – With the extra costs of preparing the sub floor will the client still want to put tiles on their kitchen or bathroom floor? 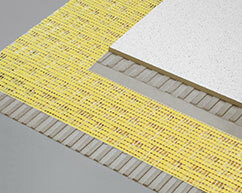 The cost saving over traditional methods encourages the use of ceramics and hard surface coverings. Improved design of Crack Isolation Matting and better adhesives combined with installer experience means failure just doesn’t happen. 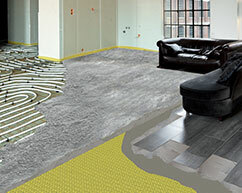 Improved design of Crack Isolation Matting and adhesives, combined with installer experience means this installation method has rapidly become the “standard” wherever difficult sub floors are encountered. With almost no increase in installation height and with an impressive speed and ease of application, it makes sense to consider using them and it does not have to break the bank! With almost no increase in installation height and with an impressive speed and ease of application, de-coupling membranes have obvious advantages. Increased competition has lead to lower prices. We keep a close eye on the real costs of using the product and we are absolutely confident that you will save money, you will make more profit, it will make you more competitive, you will save your knees and you will, overall improve your day! With increased usage, economies of scale in production and supply have made the real costs of using CI matting on projects ever more cost effective. 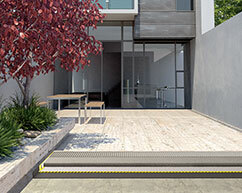 There are several of these products on the market – Ours is called CI+ matting. 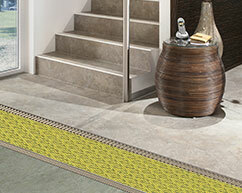 If you sell tiles as well as fix them, then you have a better than fighting chance your clients won’t choose a carpet! CI matting is our specialist subject. We know a lot about this subject and have a very wide experience of the demands of differing projects large and small. Our help, advice and site visits are free. Please contact with the details of your project.